AmerisourceBergen is an American pharmaceutical sourcing and distribution services company that was formed in 2001 by the merger of AmeriSource Health Corporation and Bergen Brunswig Corporation. The network of businesses under the company are ASD Healthcare, Besse Medical, Cubixx Solutions, HealthForward, ICS, Innomar Strategies, IntrinsiQ Specialty Solutions, ION Solutions, Lash Group, MWI Animal Health UK, Micro Technologies, MWI Animal Health, Oncology Supply, Pharmacy Healthcare Solutions, PharMEDium, Securos Surgical, US Bioservices, World Courier and Xcenda. The company’s expertise includes improving product access, increasing supply chain efficiency and enhancing patient care. The markets served by its businesses are health systems, pharmacies, physician practices, manufacturers and animal health. The company is ranked 11 on the 2017 Fortune 500 list. 1. Highly competitive business environment: The pharmaceutical distribution business is highly competitive with AmerisourceBergen facing competition from McKesson Corporation, Cardinal Health, FFF Enterprises etc. There is also competition from regional distributors, manufacturers who indulge in direct sales, drugstores having own warehouses and healthcare technology companies. The recent consolidations happening in the healthcare sector pose a danger to AmerisourceBergen in the form of greater bargaining power of the consolidated enterprises of the customers, suppliers or competitors. The company would then be forced to reduce prices to stay in the market. 2. Increasing government regulations: In recent years there has been regulation of the healthcare industry by the government to increase drug utilisation, reduce costs and expand access to health insurance. The US Drug Enforcement Administration (DEA) and other agencies regulate compounding, storage, purchase and distribution of pharmaceuticals. The wholesalers must have valid licences and follow stringent regulations in sales, packaging and distribution. Any deviation from regulation can lead to suspension of the company’s distribution centers like what happened in Virginia, Alabama and California with the Pharmedium unit. There are chances of more regulations being introduced by the regulators and the resulting compliance efforts could incur huge costs for the company, especially if they have to shut down some centers. An example of regulation is the Drug Quality and Security Act passed by the US Congress in 2013 that requires labelling and tracking of drugs at the lot level, as well as participation of all supply chain stakeholders in an electronic drug traceability system. 3. Declining reimbursement rates for pharmaceuticals: In USA, the drugs administered in a physician’s office are covered in insurance under Medicare Part B, for which the reimbursement rates are declining. So the physician offices that used to buy these specialty drugs from AmerisourceBergen’s Pharmaceuticals Distribution Services segment, are now moving from private practice to hospitals, where the specialty drugs are purchased from hospital’s vendors instead of from specialty distributors. This trend is expected to increase due to the ability of hospitals to purchase these drugs at discounts mandated by law. More changes to reimbursement rates could have adverse effect on AmerisourceBergen’s business. 4. Disruptions in relationship with WBA: In 2016, AmerisourceBergen extended its distribution agreement with Walgreen Boots Alliance (WBA) to 2026, wherein the company distributes drugs to Walgreen pharmacies and WBA also provides services to AmerisourceBergen, like price negotiation with manufacturers. But maintaining the agreement is costly and time consuming. There is a risk that the expected benefits might not be realised and there could be potential disruptions to the company’s operations and cash flow. The disruptions can be due to natural disasters, labour disruption, government regulation etc. Also, there is a danger of losing a large customer if WBA decides not to renew the agreement in future. If WBA is affected by any regulatory issues, then it could also impact AmerisourceBergen because a troubled customer might decide to cut costs by removing vendors, or it might no longer have the finances to pay its vendors if there are any financial losses. 2. Damage to business because of looming US-China trade war. 2. 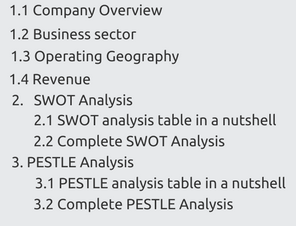 High demand for goods and government willing to increase the ease of doing business. 1. Government regulations in healthcare: In recent years there has been regulation of the healthcare industry by the government to increase drug utilisation, reduce costs, prevent misuse and expand access to health insurance. The US Drug Enforcement Administration (DEA) and other agencies regulate compounding, storage, purchase and distribution of pharmaceuticals. The wholesalers must have valid licences and follow stringent regulations in sales, packaging and distribution. Any deviation from regulation can lead to suspension of the company’s distribution centers like what happened in Virginia, Alabama and California with the Pharmedium unit. There are chances of more regulations being introduced by the regulators and the resulting compliance efforts could incur huge costs for the company, especially if they have to shut down some centers. An example of regulation is the Drug Quality and Security Act passed by the US Congress in 2013 that requires labelling and tracking of drugs at the lot level, as well as participation of all supply chain stakeholders in an electronic drug traceability system. However, there is also a possibility for regulations to be changed, and if a change happens in favour of wholesalers, then AmerisourceBergen must be ready to take advantage. For instance, if the government announces incentives in the form of tax benefits to encourage wholesalers to follow the regulations, it might make up for the cost of following the regulations. 2. Political donations and influence in government policy making: AmerisourceBergen donates money to political candidates running for office in order to advance the interests of the company. In 2016, the company had made two donations of $2500 each to US Rep Patrick McHenry, who is the chief deputy whip of the Republicans. There have also been donations of $9000 given by AmerisourceBergen’s lobbyists to many McHenry political committees between April and June 2016. These donations though legal, have come in increasing spotlight in recent years in wake of the opioid crisis and other issues. Lawmakers have come under fire over acceptance of donations from health care and pharma companies such as AmerisourceBergen and if the US administration imposes a blanket ban on such contributions, it may impact the company. 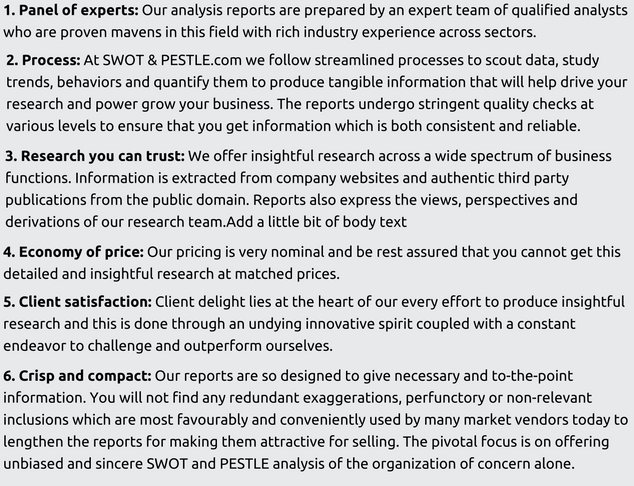 AmerisourceBergen SWOT and PESTLE analysis has been conducted by Nipunn V and reviewed by senior analysts from Barakaat Consulting. 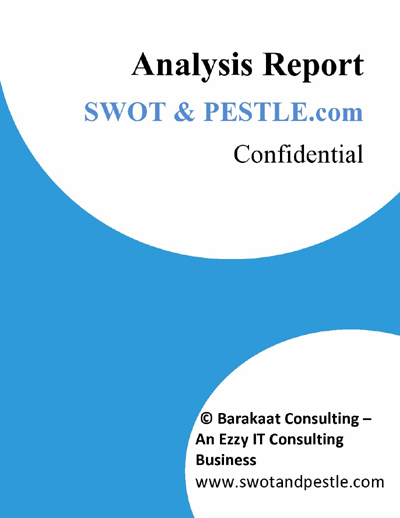 Copyright of AmerisourceBergen SWOT and PESTLE Analysis is the property of Barakaat Consulting. Please refer to the Terms and Conditions and Disclaimer for usage guidelines.